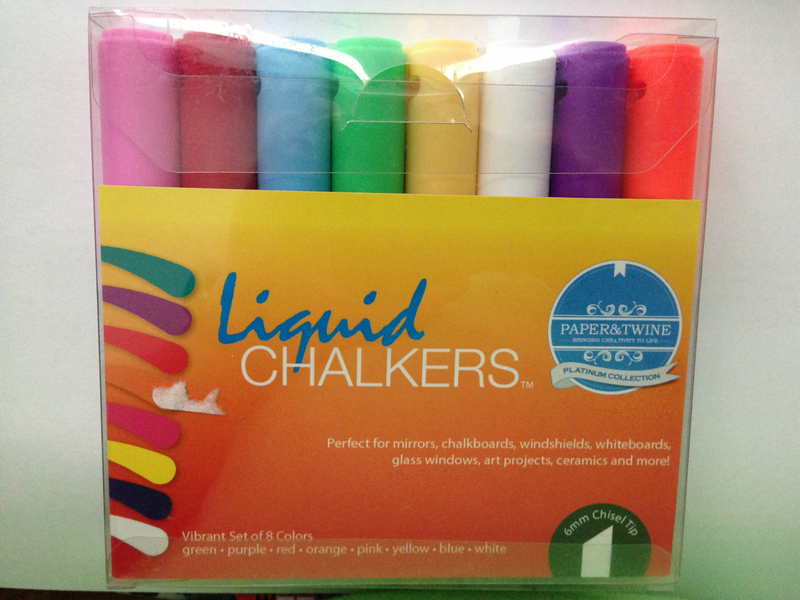 Three Boy Circus: Product Review: Liquid Chalkers! Disclosure: I received free product in order to facilitate an honest review. All opinions are my own. I was really excited for the opportunity to try these out! 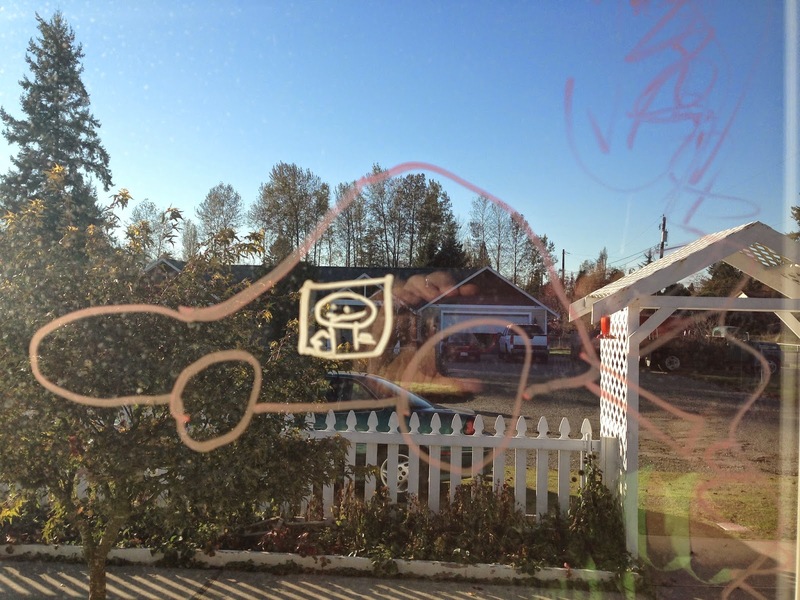 My boys were pleased to use these to draw on windows lol. First things first: before going crazy with designing, try a small area first. We have an old chalkboard (green background) and it left a little residue behind after wiping with a rag. I would suggest using these on mirrors and windows only for easy cleaning! The package says they are non-toxic which is great to know. To get the chalkers started, you need to press on the nib a few times to get it going. As you can see, the chalkers didn't work so well on my old chalkboard. But I have seen pictures of black chalkboards with much better results. 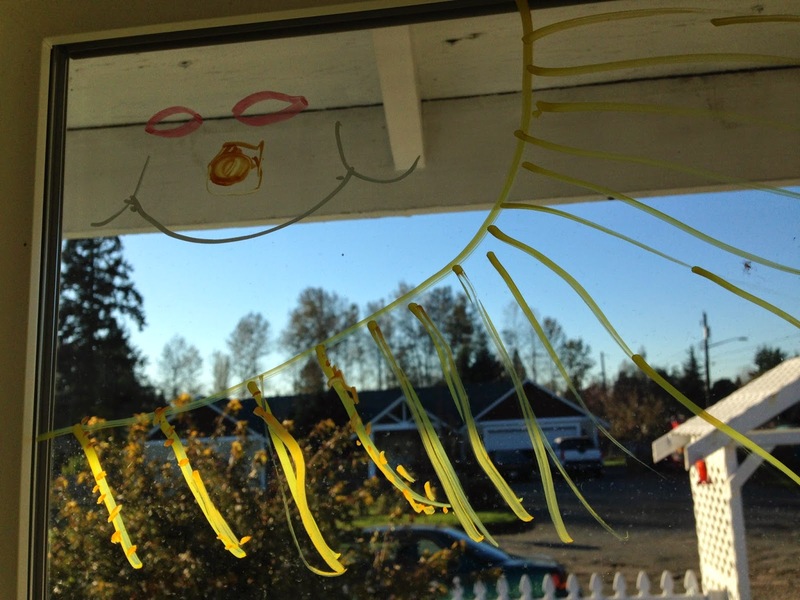 I loved the ease of them and I would have to say they were not messy like I had imagined they might be. My boys didn't get any on themselves or my walls, lol! I call that success. To clean, just get a washcloth and wipe. I think these liquid chalkers would be amazing if you need to write "Just Married" on someone's car or if you want to write an inspiring message to yourself on your bathroom mirror. The only bad thing is that I would have liked to have black and brown in this set of colors. No biggie though. I was admittedly worried about strong smells from these but it's surprisingly a light fragrance.